The application form for the 2019 5th Annual MO Food Truck Fest is available. If you have a Food Truck and would like to know how to be a part of this years event, email us at lkrauck@kolr10.com or call us at 417-862-1010 ext. 1351. 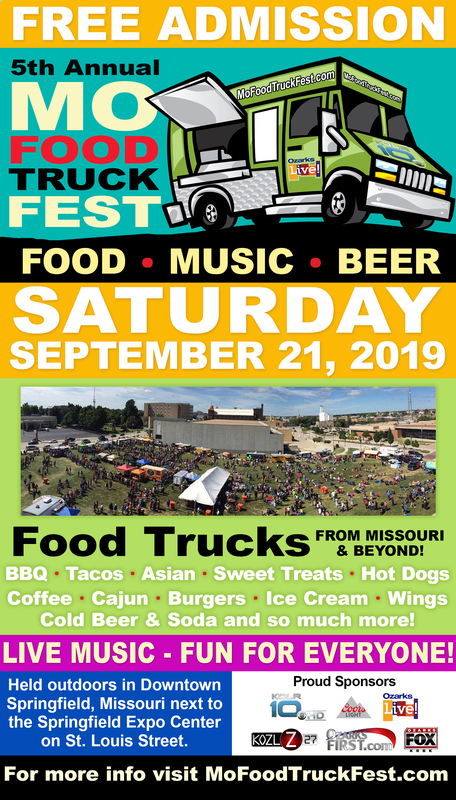 SATURDAY SEPT 21, 2019 – The 5th Annual MO Food Truck Fest! 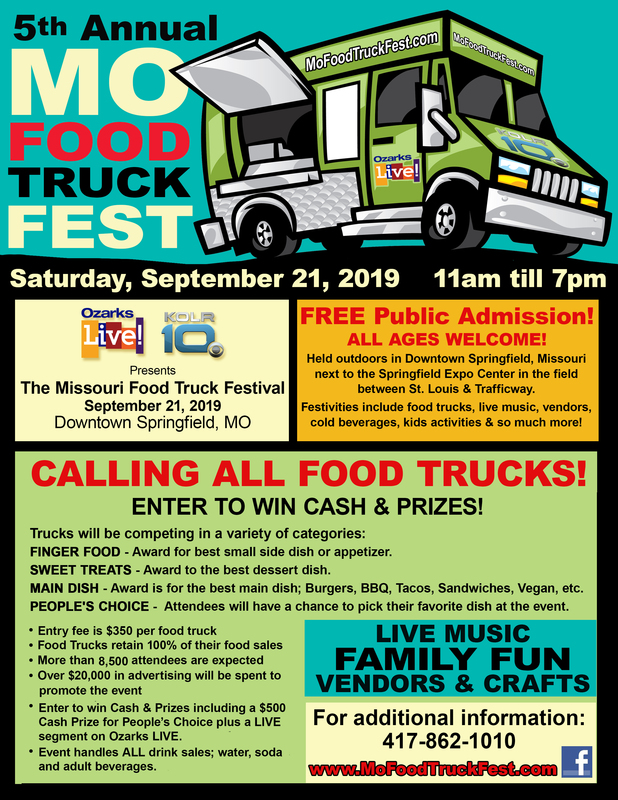 Join us Saturday, September 21, 2019 in Downtown Springfield for the KOLR10 and Ozarks LIVE 5th Annual MO Food Truck Fest. Food Trucks, LIVE Music, Cold Beverages and so much more! 11am till 7pm. See you there!